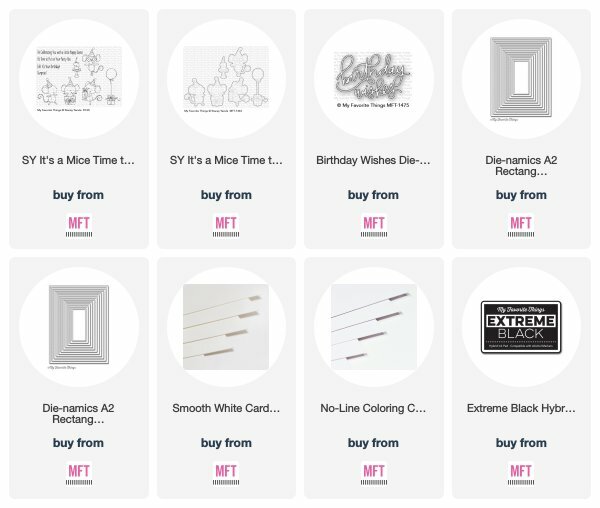 Stamping A Latte: February MFT Release Countdown: Day Five! 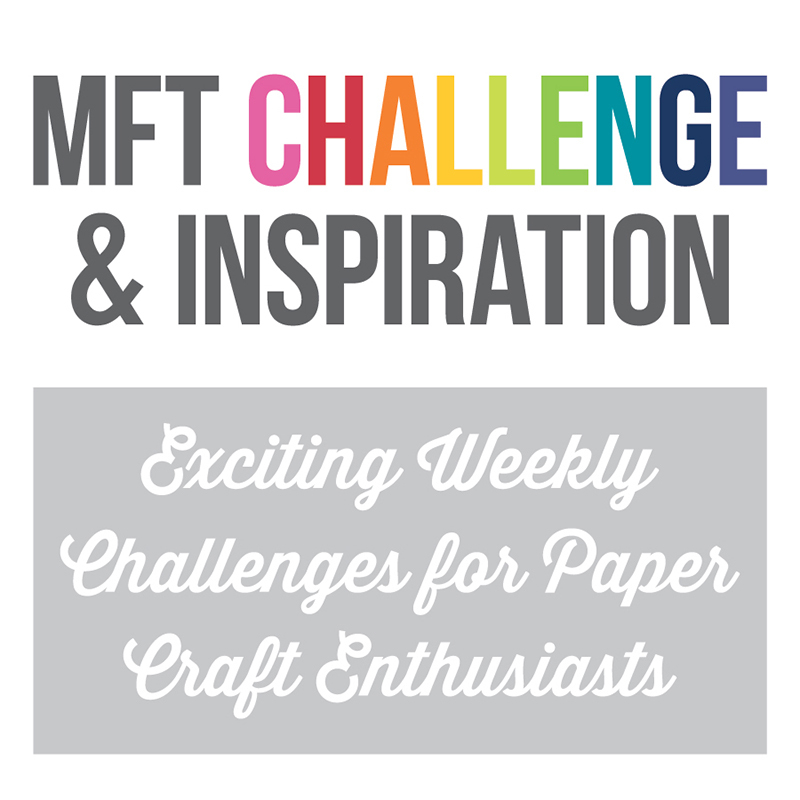 February MFT Release Countdown: Day Five! It's time to begin the countdown to the AMAZING February MFT Release Countdown! All of the fabulous new products will be released on Tuesday, February 5th at 10AM in the MFT Boutique! 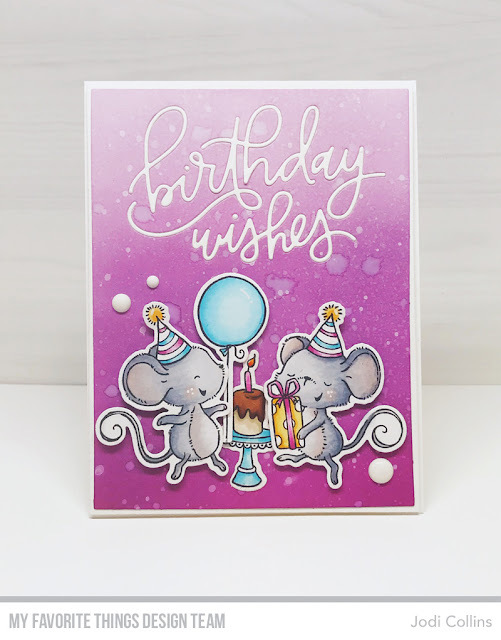 Today I am so excited to share a card with you using the DARLING new Stacey Yacula set, It's a Mice Time to Celebrate, It's a Mice Time to Celebrate as well as the FAB new Birthday Wishes Die-namics! LOVE! 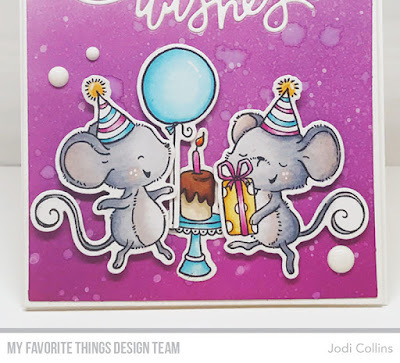 I LOVE these little mice, and had so much fun creating my card! I began with a panel of Smooth White Card Stock cut using the A2 Rectangle STAX 2 Die-namics. 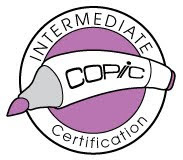 I sponged on Milled Lavender, Dusty Concord and Seedless Preserves Distress Oxide Ink. I blended the colors together, spritzed the panel with water, and then spritzed the panel using watered down white acrylic paint. Once the panel was dry, I cut it using the Birthday Wishes Die-namics. I then used the Birthday Wishes Die-namics to cut a panel of Smooth White Card Stock, and then inset the die-cut into the main panel. 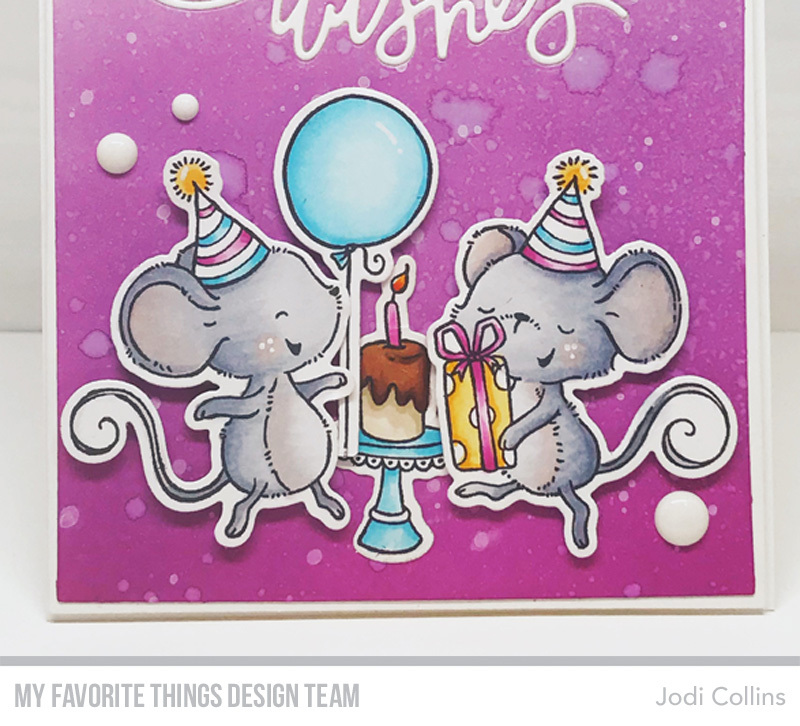 The mice, balloon and cupcake were all cut from No-Line Coloring Card Stock using the It's A Mice Time to Celebrate Die-namics, and then stamped them using It's a Mice Time to Celebrate using Extreme Black Hybrid Ink. I colored them with Copic Markers and then popped them up with Foam Tape onto the ink blended panel. I finished off the card with a trio of enamel dots. Love your card and the purple! I love your card super cute! Yhese are the CUTEST little mouse friends, love the background too! Your striking card makes me want to join the celebration! Love the color of the base! Love the inlay. Your card is gorgeous!! So cute! Love the inlaid sentiment. Great card. Love the colors and the way you inlaid the sentiment. 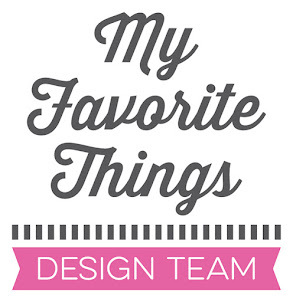 Thanks for sharing your design with us. Really adorable card. 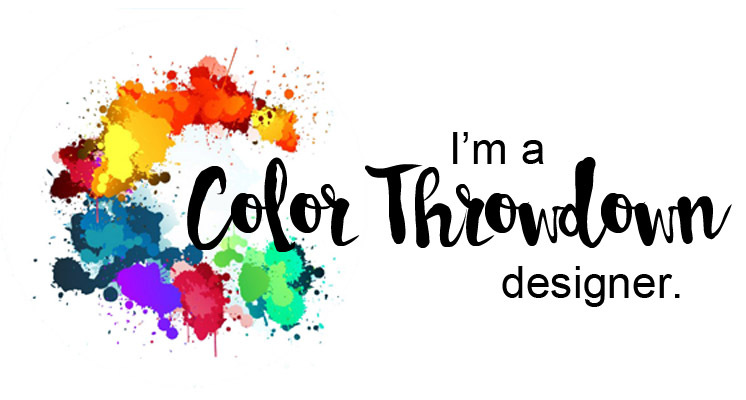 Love the colors you used on your background. Nice job putting this card together. 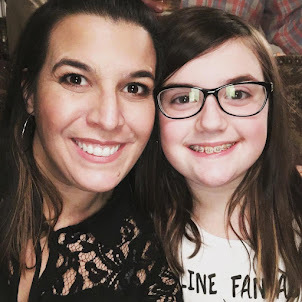 Jodi, I have followed your blog for years and your card always amaze me. Love this one!